How to Deal with Computer Face Wrinkles? Sitting all day in front of the computer can put you at risk of premature aging. Here, explore the ways to prevent the wrinkles caused due to your beloved device. Many people know that wrinkles are a part of the aging process. They show up as the skin deteriorates and loses its elasticity. Of course, some people seem to have more obvious wrinkles than others. There is a reason or that. Do you know what exacerbates wrinkles in the skin? There are several ways to answer the question. For many people, exposure to sunlight and resulting sunburns influence their wrinkling. Other people notice that smoke exposure or poor dieting can be a problem. Some people have even found that smiling too much or too broadly can lead to wrinkles around the mouth. A more modern factor contributing to wrinkles is the common use of the computer. That’s right. All of that squinting at the screen that is involved in using the computer eventually causes the skin around the eyes to get worn out. As a result, many people develop wrinkles. What Computer Face Looks Like? The next time you are around people, who are using the computer, take a look at their faces. In order to see the screen best, especially when using it for a long time, many people squint their eyes. Wrinkling the forehead is also common, especially when people are also squinting their eyes. Some people also frown as they use the computer. These sorts of expressions lead to wrinkling. Frown lines often develop around the corners of the mouth as well as the eyes. Sometimes called crow’s feet, these lines and wrinkles are particularly stubborn. You can get control over these crow’s feet and wrinkles by taking help of Plexaderm Review, Learn about it how it can ease to moisturize and hydrates your skin around the eyes. Since they are hard to remove, many people age with the appearance of constantly squinting. Some people find that look undesirable, though, and take steps to avoid computer face wrinkling. The first step in this process involves better understanding of wrinkles. Wrinkles are formed when layers of skin are diminished in plumpness. This occurs as the collagen and elastin in the skin breakdown because the skin, as it ages, gets thinner. Less moisture gets through the skin, which results in the plumpness under the skin becoming thinner as well. The extra skin that is no longer filled out by the plumpness of the subcutaneous layer is not stretched out properly, so it sags and forms wrinkles. The skin around the eyes is unique from the skin on the rest of the body, making it even more susceptible to wrinkling. Much thinner, the skin around the eyes has less of a buffer to keep it from wrinkling. Consequently, the skin around the eyes wrinkles easily when it is crinkled, just like it is when you squint to look at a computer. Obviously, one of the best ways to prevent computer face wrinkles is to not squint at the screen. However, for many people, this seems impossible. Computers and digital screens are used all throughout the day by many people. They are used for work, play, communication, and much more. 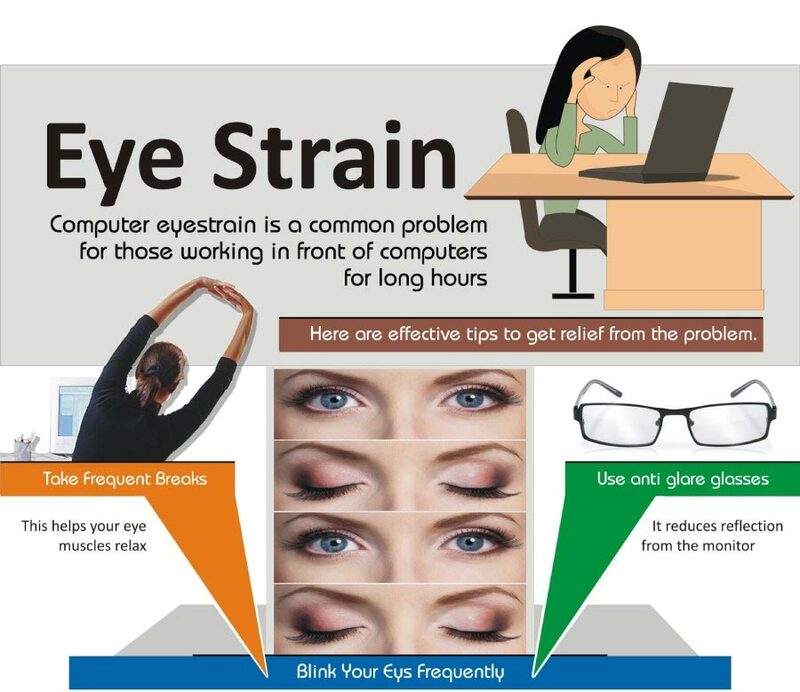 The trick to preventing eye wrinkles thus lies not in avoiding the use of computers, but in using them more effectively. One of the first things you should do in order to ensure that the skin around your eyes is not wrinkling while using the screen is to have your eyesight checked. Eye strain tends to equate to eye wrinkling in the future since it causes people to squint. If you need reading glasses, always wear them while on the computer. 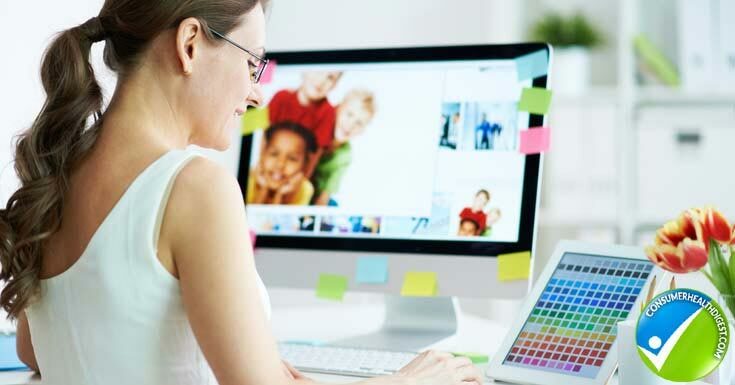 Use digital options to adjust the brightness and pixels of the screen to best suit your eyes. You should also adjust the font size as needed to be sure that reading is easy on the eyes and the skin around them. You can also place the computer at a better distance from your face or at a different angle. Often that helps to adjust the lighting and reduce the amount of strain needed to see clearly. If using a computer by a window, move yours and your computers’ position so that the sunlight does not create a glare on the screen. Little adjustments like these make a big difference in improving your eyesight when using the computer- and that prevents eye wrinkles and computer face. Besides changing your habits, there are several types of treatments that can help to prevent you from developing eye wrinkles and brow furrows. Some can even reduce the appearances of those you already have around your eyes. 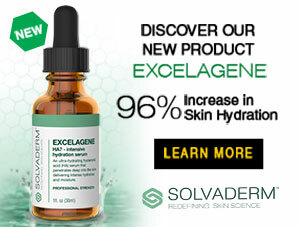 For example, Eyevage, produced by Solvaderm, is an eye cream that is highly effective at diminishing how obvious wrinkles around the eyes are. The cream is designed to improve circulation under the eyes and heal cells in the skin that are worn out and dehydrated. This cream helps to hydrate deeper skin cells in order to increase the plumpness and brightness of the skin around the eyes as well. Using general strategies for taking care of the skin, including the skin around the eyes, is also a great idea. Keep the skin healthy using cleansing agents and natural washes, like washes with honey or cucumber. Avoid getting sunburn or coming into contact with skin-disruptions like smoke. Wear sunglasses to reduce eye stress as well. Practices like these help the skin to healthy overall. This helps the skin around the eyes, too. Getting the computer face is just one of the risks to your health that you face while using this beloved device. Computers are linked to greater levels of poor posture, increased muscle tightness, shoulder tension, and vision problems. Read Next: Forehead Wrinkles – What Are Worry Lines Or Expression Lines? People who use computers while sitting at desks can develop tennis elbow and even carpal tunnel. Back pain is also a common side effect of sitting in front of a computer for hours each day.